Today here we are going to sharing New Al karam Midsummer Lawn Shirts 2018 for women. 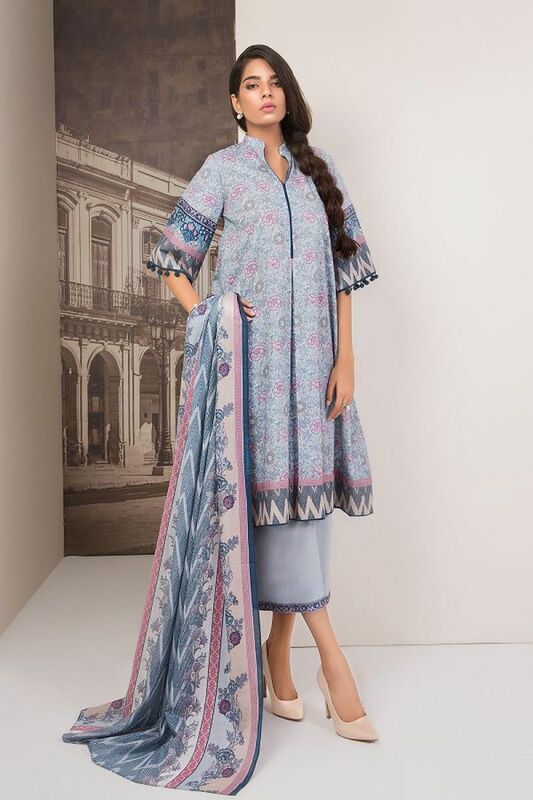 Al Karam Midsummer Lawn Shirts 2018-19 collection normally containing the unstitched suits. These unstitched suits have been placed up that are set in 3PC and 2PC suits. Each single dresses containing new shirts pattern designs. Here you will find medium shirts and long lawn shirts for summer season end. All of these lawn shirts 2018 by Alkaram are best for summer season end. Furthermore, the beautiful shalwar kameez and trousers with dupatta have been set as well. You will find this collection different and unique as compared to other previous collections by Alkaram studio 2018. This brand has made the lovely embroidered lawn shirts for Pakistani women. Some of the shirts are made with the best usage of the lace and embroidered work. In conclusion, the color shade of these midsummer lawn shirts by Al Karam made them unique and looking beautiful.